What Influences The Light Output Of LED Lighting? There are two primary factors that influence how much light an LED light will shine. The first is the kind of substance that is used to build the semi-conductor material in the LED light. The second is the electrical current coming into the bulb and the temperature of the surroundings of the bulb. The luminosity of LED lights becomes fainter when it has reached half of its lifespan. An LED light can easily last up to 100,000 hours. This can only happen, however, if the bulb is not exposed to high temperatures that shorten its lifespan greatly. The temperature of the semiconductor in the LED bulb plays a very important role in light output and lifespan. A lower semiconductor temperature means a longer lifespan and a more energy efficient bulb. Today, you will find an astounding variety of designs in light emitting diode lights such as hexagonal shapes and smart engineering designs with plastic leaded chip carriers to maximize luminosity. The temperature of the chip, as well as the surrounding environment, determine the lifespan of a light emitting diode light. LEDS with semiconductor chips lose brightness when their chips accumulate impurities. This occurs during a process known as degradation. Even the synthetic material used to construct LED lenses and bulb enclosures can degrade and become cloudy. This can affect light quality. High luminosity can increase the temperature of the bulb significantly. A large difference in temperature of the bulb and chip can drastically cut the lifespan of a bulb. LED lights convert 20-35% of electrical power to light. The other 65%-80% is lost as heat and must be diverted away from the bulb to prevent overheating. There are several options at hand to move heat away from LED bulbs. The first method involves emitting heat through the light casing. The second way involves using conductor paths. The final method involves using heat sinks to absorb heat away from the printed circuit boards found in the LED light. Heat sinks can be an effective way to cool LED lights. 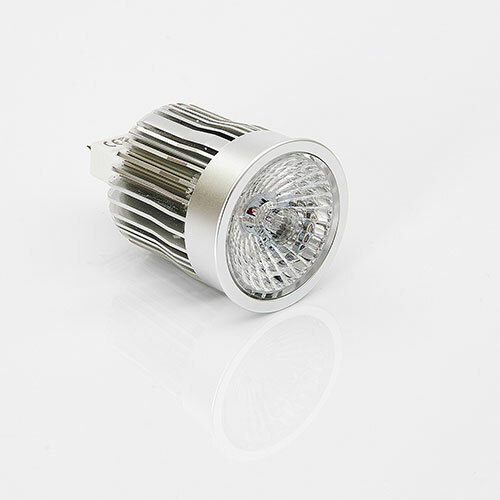 Contact us for questions about led cooling aluminum heatsinks manufacturing for your LED light bulb construction needs.